The Yamal LNG terminal in Northern Russia is one of the biggest LNG projects in the world. Once running at full tilt, it will supply 16.5 million tons of LNG to the global market annually - heading predominantly to Asian and European markets. 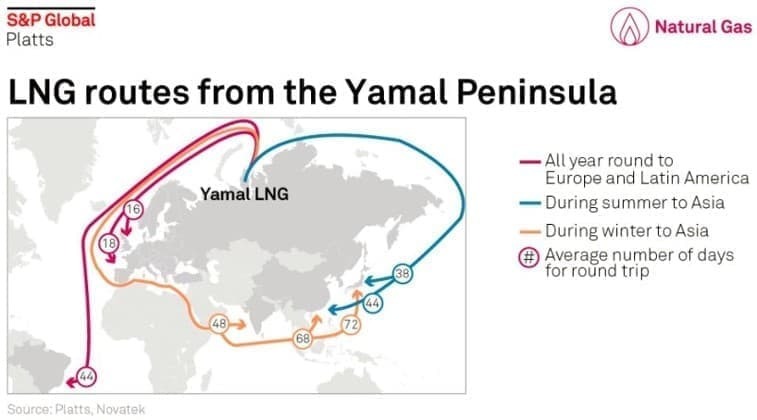 The below graphic from S&P Global, pilfered from Twitter, highlights the most common trade routes expected for the Yamal LNG. 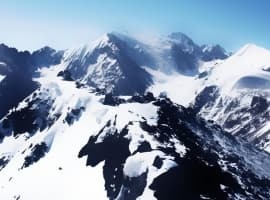 (Is quite the journey to Asia in the winter, 72 days...). 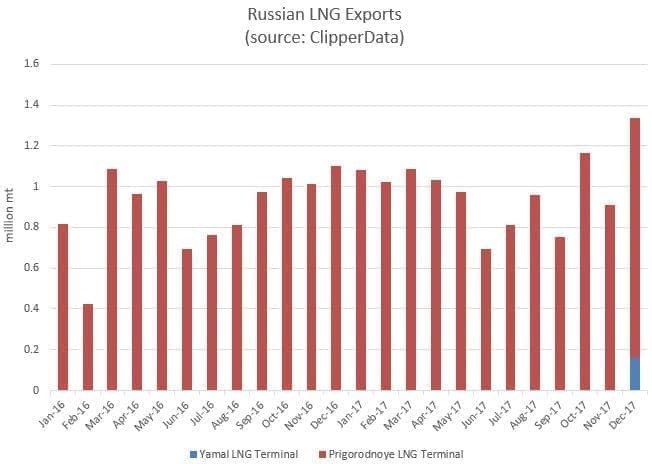 In terms of total Russian LNG exports, our ClipperData show that flows were 10.7 million mt in 2016, before rising to nearly 12 million mt in 2017, with the Yamal LNG terminal coming online in the final month of the year. We saw three loadings from the Yamal terminal in December (including the cargo heading to Boston via a pit stop in the UK and Gibraltar), but nothing so far in 2018. The most prevalent grade is Russian light sweet Sokol (Sakhalin I) blend, which typically heads to the West Coast - but we have also seen light sour ESPO delivered there too. Medium sour Urals makes its way to the East and Gulf Coasts; most recently, 800,000 bbls was discharged at Valero's St Charles refinery in early January. 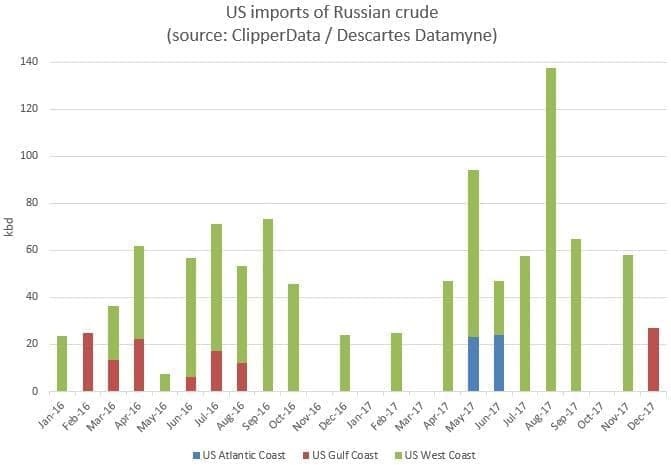 While the U.S. predominantly draws in Russian crude to the West Coast, the Atlantic coast is a notable beneficiary of Russian gasoline blending components. 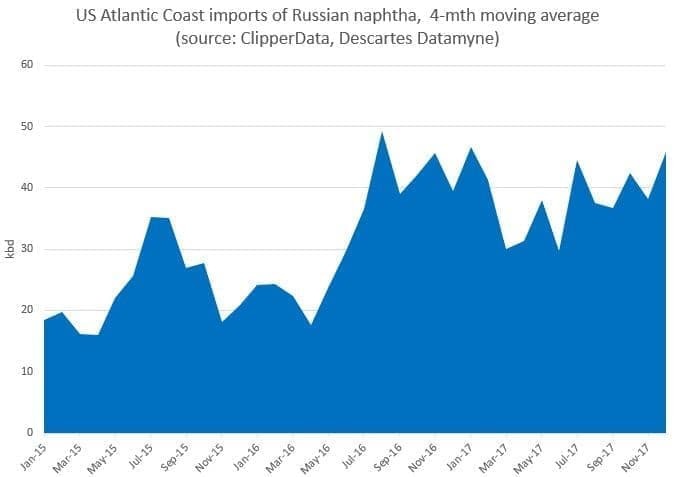 Russian naphtha imports to the US Atlantic Coast averaged 36,000 bpd last year, on par with 2016 levels, but up 50 percent from 2015. 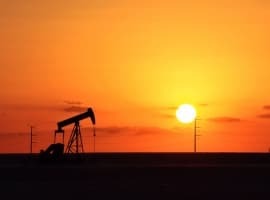 While a delivery of Russian LNG to the U.S. would certainly be an interesting development, it would be more an indictment of how global energy flows are becoming increasingly intermingled, as opposed to the start of a new trend. Seems strange we have to import LNG from Russia to compensate for lack of supply while the Massachusetts government denied possible unlimited supply via pipe lines. Look how far they are shipping that LNG. If Venezuela wasn't such a basket case, and Iran wasn't such a sanctioned mess too, they could displace much of those shipments. Half the gas on the planet sits under the Persian Gulf, and Venezuela has the largest liquid oil reserves, while people are fleeing the country by boat because they are hungry. This freakish record breaking cold has a lot to do with the LNG needs. We usually don't need much heating on the US Gulf Coast, but lately, it had been below freezing several nights in a row. That's rare around here. Some winters, tropical plants can survive. Not this year at - 7 C.
As Engie is the recipient of what some describe as an illegal cargo of LNG, it will be interesting to see if Engie's foes decide to exert pressure - legal or regulatory. 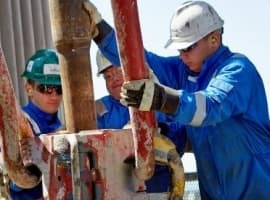 Engie played a significant role in the opposition to gas pipeline build out into New England as competing, abundant and cheap supplies would threaten their viability. The Gaselys DISCHARGED a cargo loaded at Sabine Pass, La, at Grain on 30th December, if the National Grid data on LNG storage and operations are correct. There is scant evidence that she backloaded anything. She stayed there until the 7th (partly bad weather) before making for Gibraltar/Algeciras and then starting across the Atlantic. It hardly fits with Boston being desperate for gas. It would make more sense to divert a cargo from Sabine Pass which would get to Boston much quicker. Yet recent loadings there seem to be headed for distant foreign destinations - Korea, Europe. The Gaselys appears to be empty. Any Yamal gas remains at Grain, or is already in the UK grid. There is no certainty that Yamal gas was discharged if you look at the tank movement data.